Wearing another pull on garment, this time a skirt. As you know it is key for any pregnant woman to prioritize comfort, and this type of clothes are perfect to successfully achieve this goal. 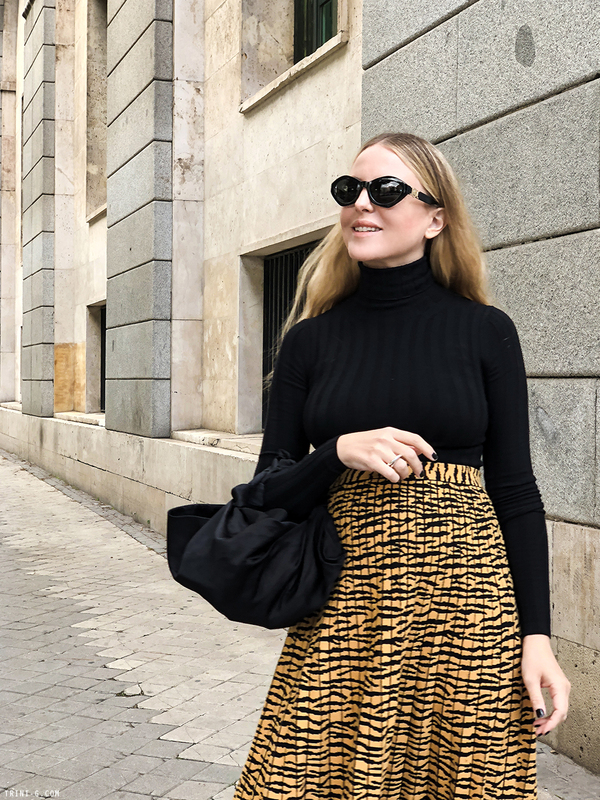 It is a challenge to find items that can fit during and way after the pregnancy but this skirt is just this a wonderful option ticks all the boxes for a non-maternity pregnancy must-have. Hoy llevo una vez mas ropa elástica, esta vez una falda. Como sabéis es clave estando embarazada priorizar la comodidad, y esta prenda sin dudarlo cumple este cometido con éxito. Es todo un desafío comprar ropa en este estado, especialmente cuando se evita la ropa pre-mamá y se pretende que la prenda en cuestión se pueda usar durante y después del embarazo. Esta falda cumple todos los requisitos indispensables para llevarse en todas las situaciones y por ello estoy encantada con ella.